Those who played the original Gravity Rush (either on PS Vita or Remastered) know that it doesn’t take too long to complete. Most people can clear it in around 10 hours. But true to the game’s name, some are rushing through the game at a much faster pace. Because of its short length, the game has actually proven to be a popular choice for speedrunners. The Gravity Rush speedrun community was kind enough to answer a few questions I had about the whole speedrunning process. Read on to learn more! Are there any important tricks/glitches used in the speedrun? – The most important glitch in Gravity Rush Remastered is the Debt Glitch. This glitch allows us to upgrade the power we switch to instead of the upgrade we start on. This allows us to get all specials in the game as soon as we get the ability to upgrade, and we also can upgrade abilities earlier than we normally would be able to. 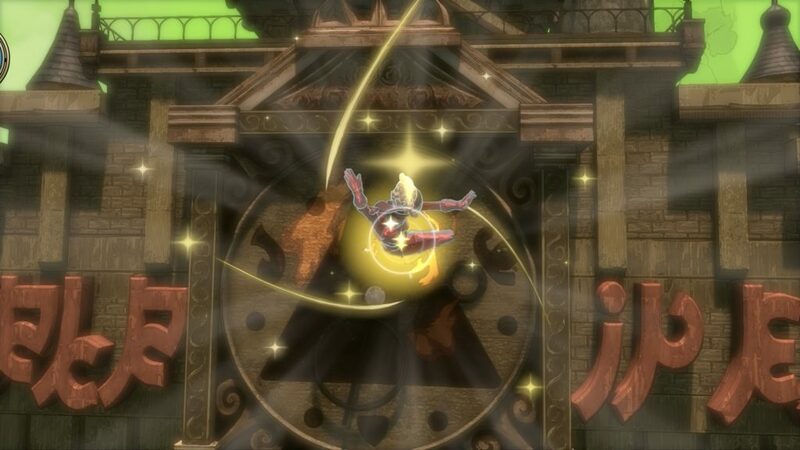 The most important technique in Gravity Rush Remastered is the Rapid Gravity Kick (RGK for short). This technique allows us to beat every boss in the game and every enemy in the game incredibly fast by cancelling gravity and reactivating it immediately after landing a gravity kick. This allows us to cancel the end lag of the gravity kick and start another kick almost immediately to deal damage incredibly fast. There are other more difficult faster ways of dealing damage like double kicking, but the RGK is the foundation of all speed combat in the game. Does using a PS4 Pro (with boost mode) make a difference compared to regular PS4 in terms of speedrunning the game? – PS4 Pro does not have a play difference in Gravity Rush Remastered (game at stable 60fps regardless), but it has a slight difference in Gravity Rush 2 because objects load faster on PS4 Pro than on original PS4. Original PS4 is actually better for GR2 because if you are moving fast enough you can pass objects before they load and they don’t block your way. How much of a difference does using an SDD over the regular PS4 HDD make? How many people are actively speedrunning the game at the moment? – There are 4 people actively running Gravity Rush Remastered: Steve The Wizard, Internetmovieguy, Wirednotes, and SingingMuffin. We host weekly races every Sunday at 3PM EST and these 4 actively participate every week they can. There are other people who run the game occasionally and will pop in for a race here or there, but these 4 are the most active members in the community right now. I’d like to thank SingingMuffin, Steve The Wizard and the other members of the speedrunning community for answering my questions. You can check the leaderboards for the Gravity Rush games here: https://www.speedrun.com/grseries. If you’re interested in learning more, the community also has an active discord if you’d like to chat with them, and you can watch weekly races on Steve The Wizard’s Twitch channel. Gravity Rush Remastered was recently also included in the lineup of games for the North American Speedrunner Assembly 2018 (NASA2018), which takes place June 4th – 10th. To conclude the article, here’s a video of the current fastest speedrun for Gravity Rush Remastered by alice_action! Previous PostEU PS Store “Big in Japan” Sale Includes Discounts for Gravity Rush 2 and Gravity Rush Remastered!